“King of Country Music” George Strait announced he will extend Strait to Vegas, his exclusive concert series at T-Mobile Arena in Las Vegas, for eight additional dates. Meetings Industry Supports 66,500 Local Jobs, Generates Over $9 Billion in Revenue LAS VEGAS – The Las Vegas Convention and Visitors Authority (LVCVA) joined leaders from across the Las Vegas meeting and convention industry including MGM Resorts International, Caesars Entertainment, The Venetian and The Palazzo and Wynn Resorts to celebrate Global Meetings Industry Day (GMID) on Thursday, April 14, 2016. The day is especially important for Las Vegas as the meetings, conventions and trade show industry has a significant impact on the local economy supporting 66,500 jobs and generating more than $9.3 billion in economic impact. “Tourism is the economic engine that drives this town and the meeting industry plays a significant role,” said Rossi Ralenkotter, president/CEO of the LVCVA. “The nearly 6 million people who come to Las Vegas every year for a meeting, convention or trade show, help fill hotel rooms mid-week, support tens of thousands of jobs and they significantly contribute to the local economy.” To help shine a light on this important industry, top meetings industry professionals in Las Vegas met at the newly opened T-Mobile Arena for a leadership panel discussion. The event kicked off with a keynote address by Roger Dow, president and CEO of U.S. Travel Association. Dow and U.S. Travel are both leaders of the Meetings Mean Business Coalition, which provides resources to promote and defend the value of face-to-face business meetings and travel on our economy. The Meetings Mean Business Coalition launched GMID in an effort to showcase the real impact that business meetings, conferences, conventions, incentive travel, trade shows and exhibitions have on people, business and communities. "This is a wonderful opportunity for meetings and events industry leaders to come together and showcase the profound impact of this critical sector on businesses, communities and the economy,” said Dow. “I like to say that there's no technology that can replace a handshake. The power of the unplanned interactions that so often occur at in-person meetings cannot be overstated. They are what build relationships, drive collaboration and spark ideas. I'm proud to join leaders in Las Vegas, a world-class destination, and a city known for and driven by its hospitality and events industry, to recognize this very special day." U.S. Travel continues to be a leading voice in reminding policymakers of the value of government meetings and travel under all fiscal environments. GMID marks the expansion of North American Meetings Industry Day (NAMID), held April 16, 2015 in the United States, Canada, Mexico and parts of Latin America. “I am so proud that something that started as a Canadian MPI initiative has organically grown into a Global Day of recognition for the power of face-to-face meetings,” said Michael Dominguez, Meetings Mean Business’ co-chair and senior vice president of corporate sales at MGM Resorts International. “There was such enthusiasm surrounding the success of last year’s North American Meetings Industry Day that it leads to global organizations reaching out and asking to participate in the initiative.” The keynote was followed by a panel discussion moderated by Ralenkotter that featured Chuck Bowling, president and COO of Mandalay Bay Resort and Casino; Chandra Allison, Vice President of Sales, The Venetian and The Palazzo; Chris Flatt, Executive Vice President of Hotel Sales and Marketing, Wynn Resorts; and Michael Massari, Senior Vice President for National Meetings and Events, Caesars Entertainment. “We have a saying that nothing good ever happened until someone had a meeting, and this is true when we’re talking about the value and power of connecting with someone face-to-face,” said Massari, treasurer of the U.S. Travel Association and senior vice president of national meetings and events at Caesars Entertainment. “We were once labeled the invisible industry but our value is unmistakable. That’s what makes an event like Global Meetings Industry Day so important. It allows us to celebrate our worth together as an industry while establishing the value to business, communities and the economy to the world.” The Las Vegas GMID leadership panel discussion was also streamed live for participants all around the world. Las Vegas boasts more than 11 million square feet of meeting space in addition to a wide array of event, dining and entertainment venues that are also used for group business. Trade Show News Network recently recognized Las Vegas as the No. 1 trade show destination in the country for the 22nd consecutive year for hosting 54 of the top 250 largest trade shows in North America. Las Vegas hosted nearly 22,000 meetings, conventions and trade shows in 2015. One reason Las Vegas is a top choice year after year, is that there is always something new to see and experience. Our resort and business partners continually invest in improvements to keep the destination fresh and appealing to business travelers. Some recent upgrades include: • Setting the stage for the next era of Las Vegas entertainment when it opened April 6, the $375 million, 20,000-seat T-Mobile Arena, a joint venture between MGM Resorts and AEG, has the largest arena capacity in the city, expansive balconies curving around the building’s exterior and customizable spaces, making the arena perfect for any type of event. The Park, an outdoor dining and entertainment district, is designed as a social gather space featuring a collection of diverse restaurants with outdoor patio seating, engaging public art and live entertainment. • Caesars Entertainment plans to upgrade more than 4,800 guest rooms in 2016, including a transformation of the original tower at Caesars Palace to create the Julius Tower and refurbishment of the hotel’s Augustus Tower. Other upgrades will take place at Planet Hollywood, Paris Las Vegas and Harrah’s Las Vegas. • Following a $4.6 million renovation, The Pacific Ballroom at Bally’s Las Vegas has been renamed the Jubilee Ballroom. The new contemporary design features added air walls, additional registration counters and an upgraded IT infrastructure. • The Wynn Fairway Villas and Encore Three Bedroom Duplex are now available at Wynn Las Vegas and Encore offering a variety of elevated amenities. The new nightlife concept, Intrigue, will open this month offering a unique venue for networking events. • The Venetian and The Palazzo recently opened a new 12,000 square foot kitchen within Sands Expo, to provide higher quality food for trade show attendees, support show growth, and increase energy efficiency by 35 percent. The new $6 million kitchen is the final phase in a multi-year renovation of Sands Expo. • ARIA Resort & Casino recently announced a $154 million, 200,000-square-foot expansion of its award-winning LEED Gold-certified convention center. Highlighted by stunning indoor/open-air spaces and a glass-enclosed venue with views of The Park and T-Mobile Arena, ARIA’s convention center will feature more than 500,000 square feet of technologically advanced, flexible meeting space when completed. • Mandalay Bay has recently completed an expansion of its award-winning Convention Center with the addition of more than 350,000 square feet of exhibit space to the existing 1.7 million square feet of space. In response to customer demand, the resort has added new exhibit space, a 70,000-square-foot carpeted ballroom, underground parking and increased overall square footage. The Mandalay Bay Convention Center now boasts more than 2 million total square feet and 900,000 square feet of exhibit space. • Cosmopolitan of Las Vegas continues to evolve its offerings with 200,000 square feet of flexible meeting space able to accommodate events for up to 5,000 people. • SLS Las Vegas is undergoing renovations to convert its LUX Tower into the W Las Vegas. Among the changes are a W Living Room, a dedicated entry area for W Hotel guests, and three levels of W meeting space. Once complete, this meeting space will add another 21,000 square feet to the current 80,000 square feet of flexible event space at the SLS Las Vegas. • The D Las Vegas has debuted an 11,000-square-foot, state-of-the-art meeting and convention space. The project includes renovations to the 6,000-square-foot Detroit Ballroom, eight breakout rooms, a new outdoor terrace, “Man Cave” party rooms, and a fitness and business center. • The newly re-imagined Lake Las Vegas Event Center is a 20,000-square-foot, multilevel event venue offering a variety of options for special events, exhibits and entertainment. The Event Center is adjacent to Hilton Lake Las Vegas Resort & Spa, and together they provide more than 115,000 square feet of flexible indoor/outdoor space. • Las Vegas Monorail is an economical and convenient mode of transportation, with stops at the Las Vegas Convention Center, as well as direct connection to eight properties for easy access to more than 26,000 hotel rooms. Groups can now take advantage of ticket discounts for their attendees and even integrate tickets into the cost of meeting/trade show registration. • IPEC opened its doors in summer 2015 as a free-standing meetings and events venue. Located five minutes from McCarran International Airport and the Strip, IPEC encompasses more than 20,000 square feet of meeting and event space, plus 49 guest rooms to accommodate up to 200 guests overnight. • Sundance Helicopters has an updated terminal for corporate events which can host parties for up to 500 people and includes aerial tours of the Strip for all attendees. • The 5,000-seat Park Theater at Monte Carlo Resort is scheduled to open late 2016 and will amplify the vibrant entertainment district taking shape on the west side of the Las Vegas Strip with a robust calendar featuring special engagements by many of the music industry’s most-celebrated performers. Adjacent to The Park and T-Mobile Arena, The Park Theater will be unique to the market, offering dynamic seating that allows for easy transformation into multiple configurations to create flexible space. • In May 2016, Topgolf Las Vegas at MGM Grand Hotel and Casino will open its doors and serve as a destination for successful and memorable corporate events in a decidedly non-corporate environment. It will include breathtaking views of the Strip on an eight-acre, 105,000-square-foot lot. To participate in the digital conversations, follow @LVCVA and @MeetingsMeanBiz on Twitter and use the hashtags #VegasMeansBusiness #MMBusiness #GMIDVegas and #GMID16. Journalists and news organizations can access photos and video from the Las Vegas GMID event as well as photos and HD video of Las Vegas events on the Las Vegas Convention and Visitors Authority’s media center at www.thenewsmarket.com/LVCVA. ABOUT THE LVCVA The Las Vegas Convention and Visitors Authority (LVCVA) is charged with marketing Southern Nevada as a tourism and convention destination worldwide, and also with operating the Las Vegas Convention Center and Cashman Center. With nearly 150,000 hotel rooms in Las Vegas alone and 11 million square feet of meeting and exhibit space citywide, the LVCVA's mission centers on attracting ever increasing numbers of leisure and business visitors to the area. For more information, go to www.lvcva.com or www.lasvegas.com. About Meetings Mean Business The Meetings Mean Business coalition was created in 2009 to showcase the incredible value that business meetings, travel and events bring to the U.S. economy. Its members span all facets of the face-to-face meeting and events industry, which have come together behind a common goal: providing the resources, tools and information to show the real impact the industry has on businesses, economies and communities. For more information, visit www.MeetingsMeanBusiness.com and download our app on iTunes and Google Play. T-Mobile Arena, a joint venture between MGM Resorts and AEG, is located on Las Vegas Boulevard between New York-New York and Monte Carlo and will host more than 100 events annually, including UFC, boxing, hockey, basketball and other sporting events, major headline entertainment, awards shows, family shows and special events. 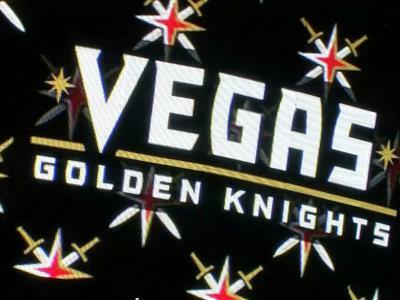 Las Vegas' newest landmark features 50 luxury suites, more than two dozen private loge boxes, complete broadcast facilities, and other specially designed exclusive hospitality offerings and fan amenities destined to create a guest experience second to none. Toshiba Plaza, an adjacent two-acre outdoor entertainment space, features performance stages, a variety of video screens and other interactive content and display areas. Industry-leading architect Populous designed T-Mobile Arena to meet the U.S. Green Building Council's standards for LEED® Gold Certification. The Park, an eclectic blend of restaurants, bars and entertainment tucked into rich desert landscaping, is a central gathering place on The Strip’s west side connecting New York-New York and Monte Carlo resorts as well as the T-Mobile Arena. An interactive and social environment, The Park aims to build a sense of community through innovative programming and events.